Here’s some fun web-specific stuff I drew last month for the award-winning digital marketing agency 360i. 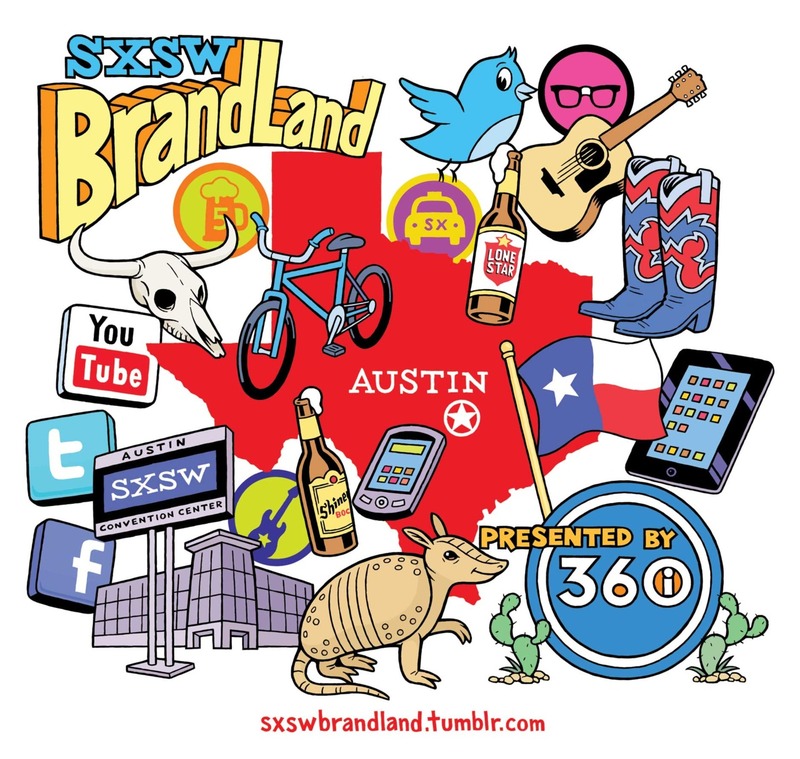 360i’s marketing manager Katie Perry was looking for some art to serve as a backdrop for their SXSW Tumblr page, as well as a logo for a promo bag to be given out at the event. 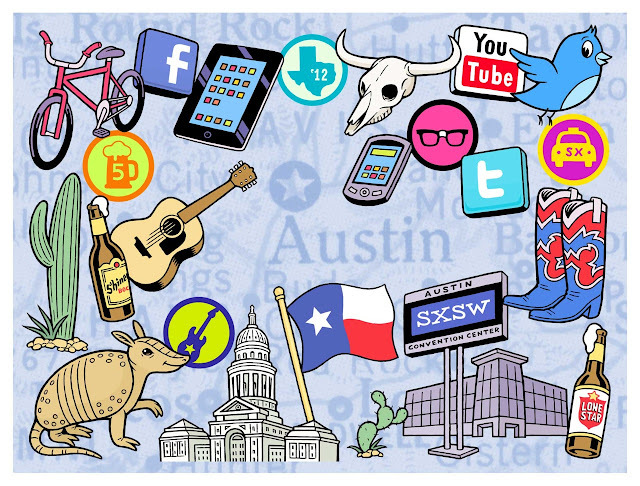 My solution was to draw a whole bunch of Austin-themed icons, which could then be rearranged into various formats. The image with the red silhouette of Texas is what’s being used for the bag, and the image with the icons scattered over a light blue map of Austin and the surrounding environs is the Tumblr page backdrop. I’ve also included a logo design that ultimately didn’t get used, but one that I think turned out nicely.